One of the most toxic substances in existence, Clostridium botulinum is the bacteria that causes botulism, a life-threatening paralytic illness. Clostridium botulinum bacteria produce a toxin that leads to respiratory failure through paralysis of the muscles used for breathing. The bacteria that cause botulism are widely distributed throughout nature. Botulism can be found in soil, water, on plants, and in the intestinal tracts of animals and fish. The key is that C. botulinum only grows only in an environment with little or no oxygen. This is why botulism is described as an anaerobic bacteria. This makes botulism unique among food-borne pathogens, as most bacteria associated with food poisoning will die without oxygen. Botulism is the exact opposite, making it tricky to deal with. 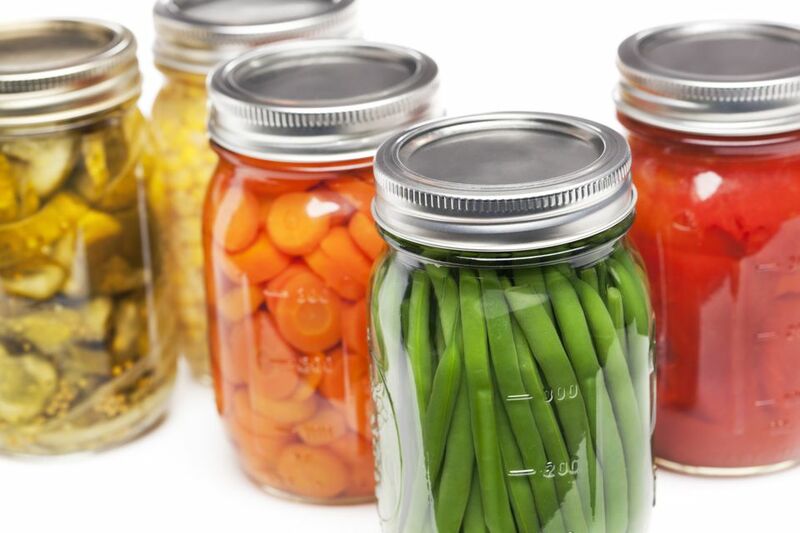 Botulism is transmitted through improperly canned foods, garlic stored in oil, vacuum-packed and other tightly wrapped food. The common thread here is that these are all storage methods where there is no oxygen. If you see a can of food that is bulging, that is a sign of botulism contamination. Uncured or nitrate-free meats are also a potential source of Clostridium botulinum since sodium nitrate kills the bacteria. Another possible source of botulism poisoning can be foods prepared sous vide, which involves sealing the food in plastic and then poaching it. The plastic bag creates an oxygen-free environment in which the botulism bacteria can grow. In addition to improperly canned foods and such, as described above, botulism can grow in foods you might not think of. For instance, a baked potato is not something you might think of as hazardous food. But a potato is airtight, which is why we need to poke holes in it before baking it. Thus, leftover baked potatoes can present a risk of botulism as the bacteria can grow inside the cooked potato where little or no oxygen is present. Similarly, cooked meatloaf or even onions sautéed in butter and then left out at room temperature can present a botulism risk. The botulism toxin affects the nervous system. Symptoms of botulism usually appear in 18 to 36 hours, but can sometimes appear as few as four hours or as many as eight days after eating the contaminated food. Botulism symptoms include double vision, droopy eyelids, trouble speaking and swallowing, and difficulty breathing. Botulism is one of the most dangerous forms of food poisoning as the illness can be fatal in three to 10 days if not treated. While botulism is unique in that it grows in an oxygen-free environment, it is the same as other food-borne pathogens in other respects. Which is to say, proper refrigeration will slow the growth of the bacteria, and cooking will kill it. Note, however, that the botulism toxin (as opposed to the bacteria that produces it) needs to be boiled for at least 20 minutes to destroy it. How Can You Prevent Getting Salmonella in Your Home? Why is E. Coli Called the Hamburger Disease?